We have one simple mission: to assist members of our community in their efforts toward achieving the reality of homeownership. 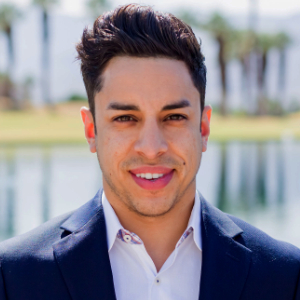 As a Hispennial (Hispanic + Millennial) loan originator, my main objective is to provide "Innovative Forward Thinking Solutions" for my business partners and clients. As part of our company culture we take pride in providing our community members with nothing short of an amazing customer experience! Feel free to navigate this page and utilize the Free mortgage tools. Ask about receiving your complimentary copy of my 2016 "Buyer/Seller" Guide. I look forward to CONNECTING with you and helping with any of your home financing needs. Have a great day! Que tenga un buen día. (Se habla Español).